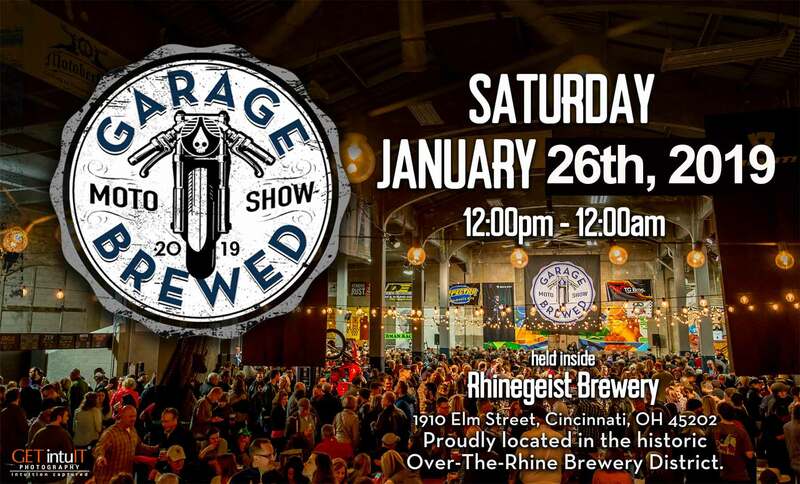 Garage Brewed Moto Show – Our show entries are curated by our review committee and invited to participate. They put a lot of time, energy and passion into bringing their best bikes to the event. Unlike most shows our judging is by the public attendees at the event using digital voting kiosks by sponsor: ElectronicArt.com. So there is no panel of snotty judges with white gloves and inspection glasses. No, the attending public choose their favorites and the chips fall where they may. 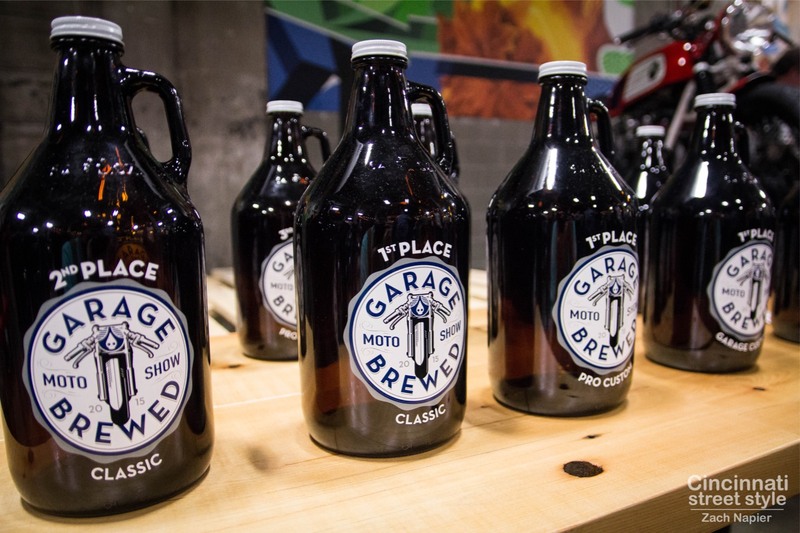 You’ll have to impress your fellow garage builder or motorcycle enthusiast if you want to win a “Grophie” (Growler trophy). KrossOver customs, Kacey Elkins – 1979 Yamaha XS650 named “Leftover”. Congratulations to all the winners and thanks to the sponsors who provided swag for winners including: REV’IT, Dime City Cycles, Workshop Hero, DEI Power Sports, and thanks to additional sponsors helping with making the show happen including: Haney Printing, Excuterra Moto Excursions, Electronic Art, and the generous time and labor from members of the Cincinnati Cafe Racer club, who worked tirelessly to build, staff and execute the show. See a nice photo spread over at Cincinnati Street Style’s blog showcasing many of the bikes. 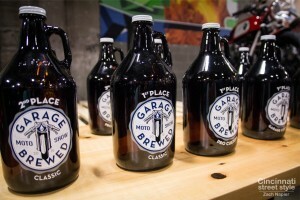 Also search social media with the hashtag #GarageBrewed and you’ll get an eye full.